Meteors are pieces of flying rock, metal and space debris. They generally burn up as they enter the Earth’s atmosphere, but occasionally they hit the Earth. When a meteorite collides with the Earth, its energy is often converted into heat. This heat is intense enough to melt rock and create holes in the Earth’s crust known as craters. Some craters are deep holes. Complex craters are wide and often have ridges and a dome in the center. When a crater hits the Earth, the debris released by it can cause air pollution or even block the Sun. Scientists believe that a meteor may have caused the extinction of the dinosaurs and other animal and plants. The Barringer Crater in Painted Desert, Arizona is a simple crater almost 1 mile wide. 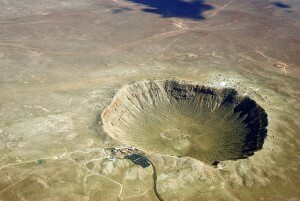 The crater was caused when a nickel iron meteorite about 150 feet in width hit the area 50,000 years ago. The Spider Crater in Kimberley Plateau, Western Australia does indeed look like a spider. The middle is a dome with spiderlike ridges radiating outward. 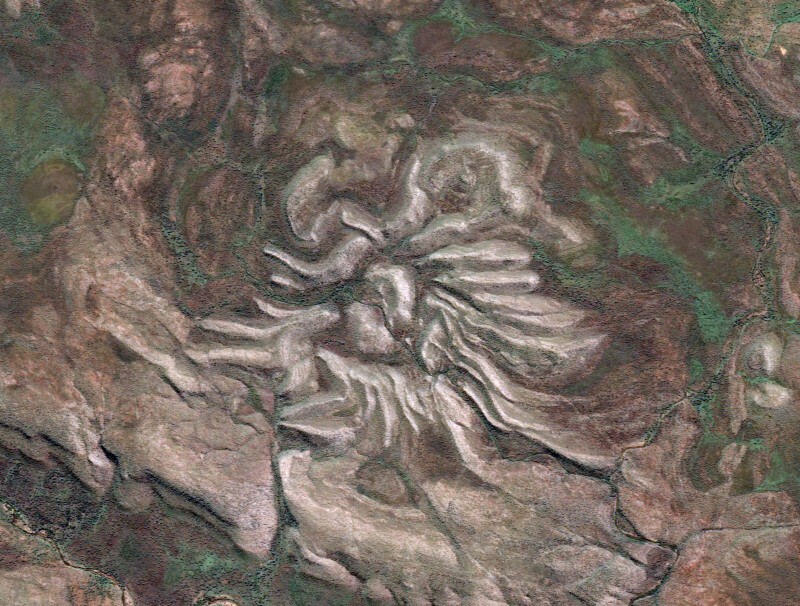 This crater is a complex crater — made between 600 and 900 million years ago. It is 8 miles wide. 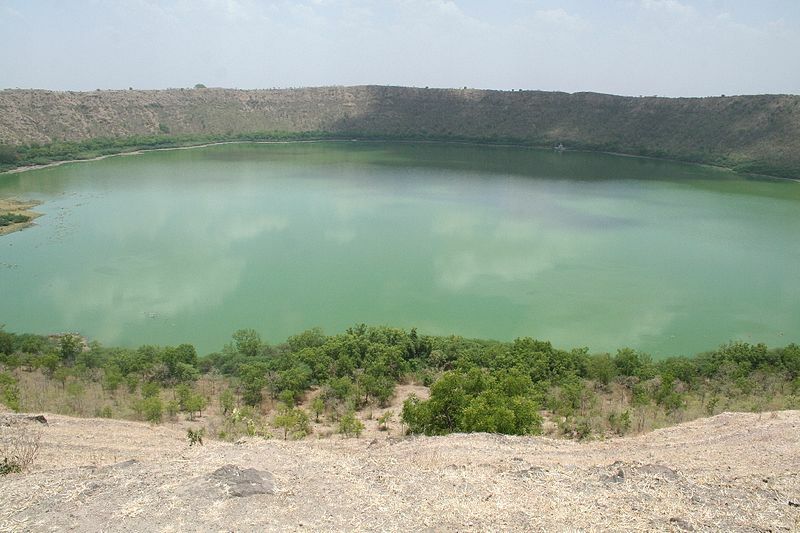 The Lonar Crater in Maharashtra, India was also made 50,000 years ago. This simple crater is a large round hole a little over 1 mile wide. Because it rains so much in India, the crater has filled with water, becoming a lake. 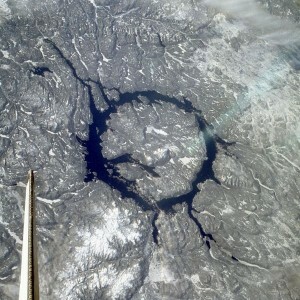 The Manicouagan Crater in Quebec, Canada is 60 miles wide and was made 212 million years ago. The complex crater includes a small mountain peak in the center with a ring-shaped lake around it. Question: Where is the impact crater that caused the dinosaurs to become extinct? Answer: The Chicxulub Crater lies in the northern Yucatan coast of Mexico. The meteorite hit around 66 million years ago and the crater is 150 miles wide. This huge crater is now buried under rocks, but can be detected with surveying equipment. Enjoyed the Geography for Kids all about Craters info? Take the FREE & fun Craters quiz and download FREE Craters worksheet for kids. For lengthy info click here. Declan, Tobin. " Fun Crater Facts for Kids ." Easy Science for Kids, Apr 2019. Web. 26 Apr 2019. < https://easyscienceforkids.com/all-about-craters/ >.